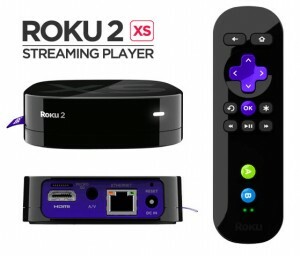 The 2 XS Roku HD player is a Wi-Fi streaming media device that streams internet video sites to your HD or standard TV. This second generation HD player includes support for hundreds of internet video and audio services including all the major providers: Hulu Plus, Netflix, Amazon Instant Video, Crackle, Pandora, MLB, and a ton others. In total there are over 300 channels available delivering movies, TV shows, music, & more. For a complete list of channels supported by the 2 XS Roku HD player go to the Roku website . 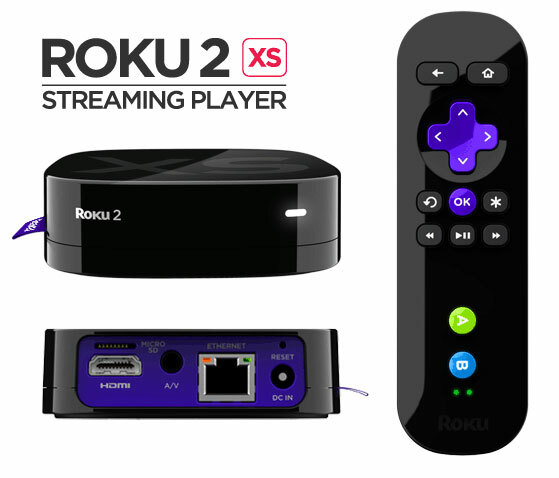 The 2 XS Roku HD player is extremely simple to use and thanks to a great variety of content offerings it shines as the best streaming media device you can get for under $100. Ethernet port for wired Internet connection if needed. SD card slot for additional channel storage. Video formats supported: WMV/ASF up to 480p, MP4 and MOV up to 1080p. 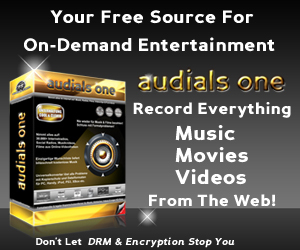 Audio formats supported: MP3 and AAC. Image formats supported: JPG and PNG. A few things to note: The Roku 2 XS doesn’t currently support DLNA access (streaming media from networked PCs). USB file support is somewhat limited (a software upgrade is likely to be available in the near future). No power button. Netflix on the Roku HD player supports 1080p, Dolby Digital Plus. The video streaming from Netflix starts playing right away at the highest quality possible and quickly increases on the fly once it caches the stream. Loading times are short and buffering is rare. Pick up the 2 XS Roku HD player if you have Wi-Fi in your home and want to stream Netflix to your TV. Watching streaming video on your TV, sitting in the comfort of your couch or easy chair, with family or friends around is a great entertainment experience.